It's here. No more speculation. No more case renderings. No more leaked touchscreens. No more fake unboxings. 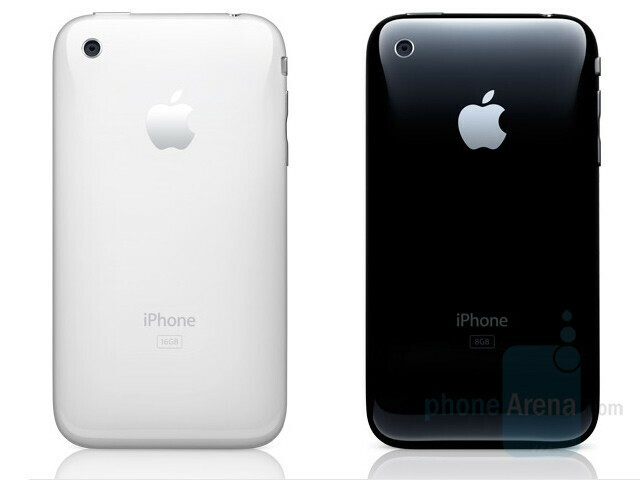 The Apple iPhone 3G (click for Specifications) is coming on July 11th and it looks...well like the old one. There are a few differences, most notably the shiny plastic back which will come in both black and white, as well as metal hardware buttons. The 3.5" touchscreen remains and the overall size remain similar; its thinner at the edges but less than millimeter fatter overall. Thankfully the 3.5mm headphone jack sits flush this time. The rest, however, now thats a different story. 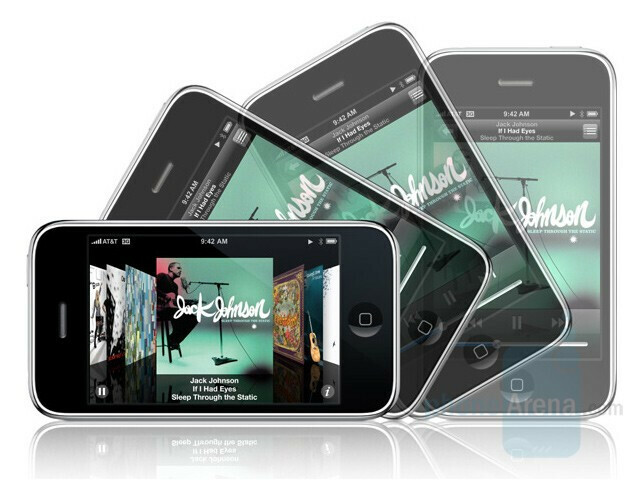 Remember all those shortcomings of the iPhone? Closed system, no 3G, no GPS, limited availability, outrageous price tag? Yeah, they're all gone. The iPhone 3G will, of course, include 3G data. Furthermore, Apple claims that its up to 36% faster that competing 3G devices such as the Treo 750 and Nokia N95 and that 3G performance is nearly as good as Wi-Fi. GPS is built in this time around, allowing for true LBS (location based services) instead of just cell tower triangulation. All this while increasing the battery life; 3G talk time is 5 hours which is doubled over 2G, 5 hours of browsing on 3G and 6 on WiFi and 7 hours of video playback with 24 hours for audio. We've known about the SDK for awhile now, no surprises there, but Apple brought in several vendors to demonstrate what they've been able to do with it. SEGA, for instance, has brought Super Monkey Ball to the phone. The AP has a news application that not only delivers news, but allows the user to submit news. Medical programs are available to aid doctors and med students. MLB.com will offer an application that offers exclusive content, and eBay has created a stand-alone app as well. Loopt, which offers a location based social networking application similar to the one found on Helio, said that "we've developed for every mobile platform out there, this is the best and most powerful." Another great feature is push support for these applications. Similar to RIM's service, Apple will keep a persistent IP connection to the phone which will allow 3rd party servers to ping Apple's notification service, which will in turn ping your application. For instance, if you receive an IM the program will alert you. This allows for better battery life, because the programs aren't running in the background. This, and all the other software features, is part of the iPhone 2.0 software which will be available to all iPhones in July. The App Store will house all of these applications, and is available via both iTunes and over-the-air. However, apps that are larger than 10MB have to be downloaded via either iTunes or Wi-Fi, not with cellular data. Developers will not be charged to sell apps, and they will retain 70% of the profit. If they want to offer free applications (such as the AP and eBay apps) they will be able to do so. Apple stepped up its game on the enterprise front as well. The phone has integrated Exchange support, with built-in Cisco VPN services. They worked with 35% of the Fortune 500 and said "everything they told us they wanted, we built in." Features include push email, contacts and calendar, as well as remote wipe and global address book searching. While these are great for the enterprise user, you didn't think Apple would leave their precious coffe-house users out of the loop, did you? .Mac has been replaced with MobileMe, which basically acts as a personal exchange server. It uses a web interface and works with with Mac, PC and iPhone. It will interface with Mail.app, iCal and Address Book as well as Outlook. It offers real-time push email, calendar and contact sync. Make a change on the web, on your computer or on your iPhone and it shows up everywhere. Apple is offering a 60 day trial, but like .Mac the service will run $100/year. So far so good, but what about pricing and availability? The iPhone is available (officially) in six countries and currently sells for $399 and $499 for 8 and 16GB models. 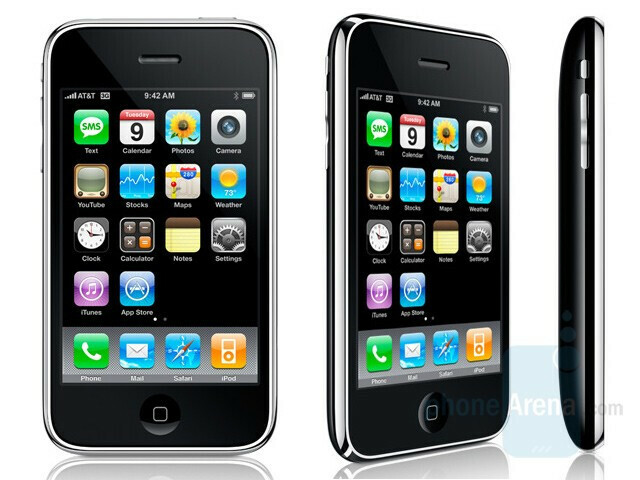 The new iPhone 3G will launch initially in 22 countries, which will expand to 70 in the "next few months." Steve even gave a roundabout nod to them being unlocked, so its obvious that Apple wants their piece of the pie. 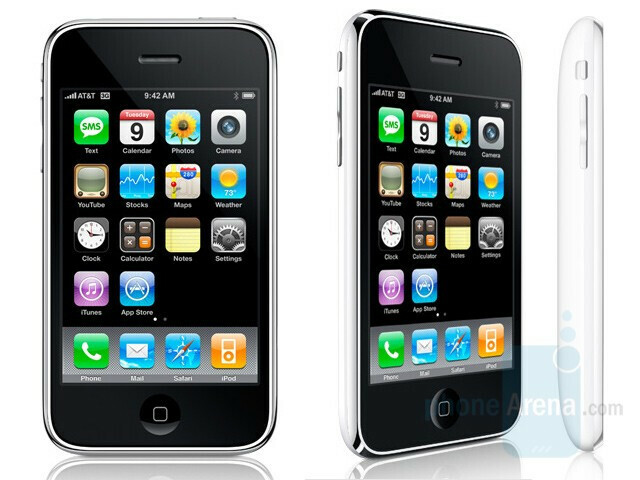 He also admitted that price held the iPhone back, so the iPhone 3G will be available starting at $199 for a black 8GB model. The 16GB model will run $100 more, and is available in both black and white. So there you have it, its an iPhone with updated software, 3G data, GPS and a lower price tag. It sounds like most every phone on the market these days, and Steve made no mention of otherwise standard features such as MMS, video recording and stereo Bluetooth. Honestly, is anyone else a bit underwhelmed? Wall Street sure seems to be, Apple's stock dropped 5% during the incredibly boring keynote and closed down over 2% on the day. Thanks to iPhoneAlley and Engadget for their live reports. Does it have MMS?? Please don't tell me they left it out again! Can the Voyager get a real touch screen? My finger hurts from trying to get the thing to respond. Can the iPhone get real messaging? My wallet hurts from thinking about getting a camera phone that can't do MMS. Can the iPhone have a real battery? My patience hurts knowing I would have to send it back to Apple just to get the battery replaced when I can go to any VZW retailer to get a battery for the Voyager. Can the iPhone get some real protection? Everything on my hurts knowing that if something happens to the iPhone, it's FULL RETAIL PRICING BABY!!!! No MMS=deal breaker. I've been using my 3G ATT Tilt for a while now and love it. The iPhone only has a couple things going for it Screen size and media. Windows Mobile has had all these features for a while now and has so many 3rd party apps. The only thing Windows is lagging in is internet browsing and a more simple user interface. As processor speeds increase on WMobile devices and VGA screens are added the lag will be gone and will soon be just as snappy and quick as the iPhone with equally nice displays. All the while with a clunky interface most people hate and want to cover up with front ends. I know of absolutely NOBODY that wants to copy the Windows Mobile interface to put on another device. I know of projects for every device, including tons for Windows Mobile, that try to make Windows Mobile look and behave like an iPhone. The clunky interface is why I hate Windows Mobile. That, and the crap web browsing experience, shoddy stability, and crappy non-responsive SINGLE TOUCH screen that is more or less crappy (compared to iphone). The entire single touch resistive display feels so outdated and last generation compared to iPhone. If you have ever played with iPhone for any length of time, you know the touch screen on ALL WinMo phones are not as responsive to finger touches. you know, unless youre outside and wearing gloves. the iphone ui is wonderful, there is no denying that. the problems arise in its software, and apple still falls short. ui shortcomings can be overcome, especially on an open platform, but hardware limitations cannot. nothing stated about the carrier at&t signed a "multi year contract" with apple over the iphone. that contract was 2 years ago. Speculations were from 2-5 years length. If the contract was 2 years, that means this year would allow other carriers to obtain the iphone. Another loophole is this is iphone 3g. The contract was for the first gen phone. It IS possible that the iphone may come to verizon. Apple has a 5 yr multi-phone contract, So any Apple + Phone product is only for AT&T in the US. At the end of the 5 yrs, Apple can do whatever they want with the iphone. Who cares if it comes to VZW or not? Too many great phones out there without firmware problems for Verizon to have. Besides, why would I want an expensive multimedia phone that doesn't do MMS? That may change with the new iPhone considering it's now subsidized, only time will tell. As far as I can tell they left mms and video recording out which is the reasons I didn't get the 1st iphone not the price and it stays the same I send/recieve too many mms not to have it. I just don't get why they leave that out it makes no sense. Doesn't have to be perfect, but it should at least be capable of offering options every other cell phone offers. Will it come with a memory card slot or would it still be internal memory only? Do you really need more than 16GB. It's a phone.